You know what my favorite discussion thread is over on NeoGAF? The one that's devoted to "new Japanese box arts." Anyway, while perusing the thread this past weekend I came across the following trio of recently revealed pieces of Japanese cover art--all of which really tripped my trigger, so to speak. Because I'm "that kind" of gaming geek, I thought I'd share them (and chat about them) here. 1. 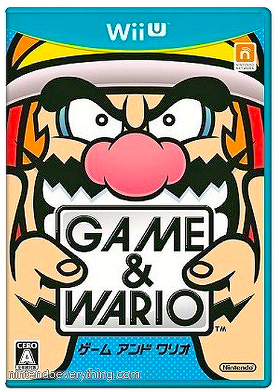 Game & Wario (Wii U)--It pains me to say this, but I have little to no interest in this forthcoming (it's due out in both Japan and North America on March 28) Wii U title. 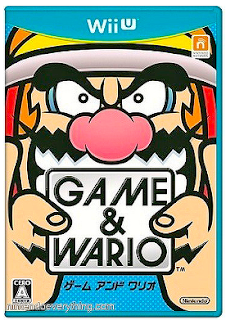 In part that's because Game & Wario doesn't follow the tried-and-true mini-game format of the WarioWare series, and in part it's because I just haven't been impressed by what I've seen of this wonderfully titled spin-off. 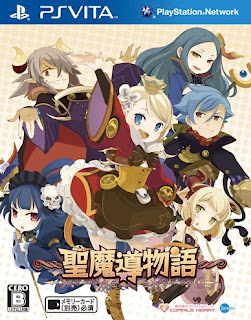 That said, I'm loving the game's Japanese cover art, so at least it has that going for it. 2. 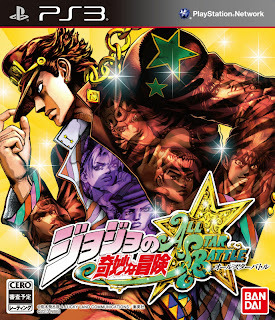 JoJo's Bizarre Adventure: All Star Battle (PS3)--Full disclosure: I'm no fan of fighting games. Although I used to like the genre quite a bit back in the days when Street Fighter II and its ilk ruled the arcade roost, I've since switched my allegiance to other genres, like puzzlers and adventure games. Still, if I owned a PS3, I'd probably have a tough time keeping myself from buying this CyberConnect2-developed, Namco Bandai-published battler that's based on Hirohiko Araki's manga series. 3. Sei Madou Monogatari (Vita)--When I first heard that Madou Monogatari was going to make a glorious return to the gaming world, I was beyond thrilled. When I heard it was going to be released for the Vita, I was a bit less so--and I was downright pissed when I heard that it wouldn't feature Arle, the protagonist of pretty much every previous title in this series. On the positive side, Sei Madou Monogatari, which will hit Japanese store shelves on March 28, looks a lot like Final Fantasy Fables: Chocobo's Dungeon, which is a very good thing. Do you think it's unlikely to be released outside of Japan at this point, Elliot? For some reason, that idea didn't even cross my mind until now. Anyway, I hope you do get access to it in some form! Holy cow, Jojo has the most fabulous box art I've ever seen for a fighting game. What I've seen of Game and Wario hasn't really enchanted me yet either but I have to give them the benefit of the doubt since the original Warioware kind of made me fall in love with games again, I always liked the idea of a Mario spinoff that is completely divorced from the canon of the rest of the franchise. Plus it was developed by Yoshio Sakamoto, designer of Gumshoe (then again, he also wrote and directed Metroid: Other M so...maybe I don't like Warioware anymore). Oh, yes, that JoJo box art is awesome! The game itself looks pretty great, too. As for Game & Wario: even if I currently owned a Wii U, I'd wait to read what others have to say about this game before picking it up. In large part, that's because I almost always play games alone and, as such, I just don't think I'd be able to enjoy this one. We'll see, though. I really hope it ends up being enjoyable and surprising a lot of people--myself included! Maybe me and the other fans could make a petition or something and send it to Namco. Oh, that's too bad. I was hoping it would be released here. Who knows, maybe it'll be released via PSN or something? Yes :) Maybe the power of both of our 'hopes' will help make it so.